The international investment position (IIP) is an economy’s financial statement, compiled at a specified date (such as by the end of year or end of quarter), showing the value and composition of its positions in external assets and liabilities with the rest of the world. When external assets exceed liabilities, the net IIP is positive and when liabilities exceed assets it is negative. 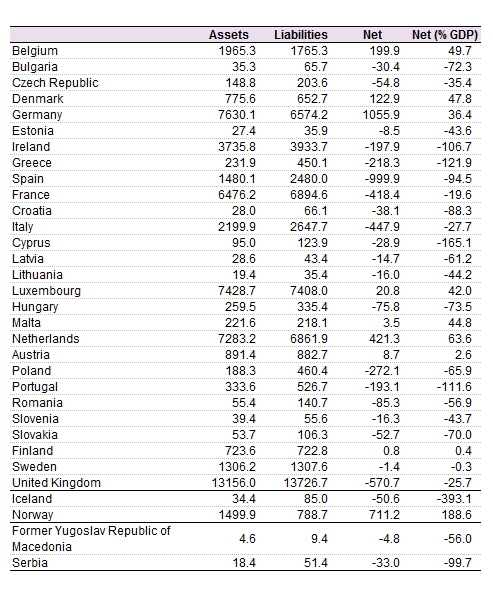 This article presents data on the (net) IIP of theEuropean Union (EU) and its Member States. 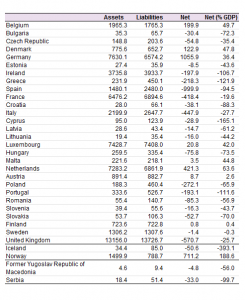 For the first time, Eurostat presents data on the new compilation standard of the Sixth Edition of the IMF’s Balance of Payments and International Investment Position Manual (BPM6), and estimates the major components of the IIP for the EU-28.